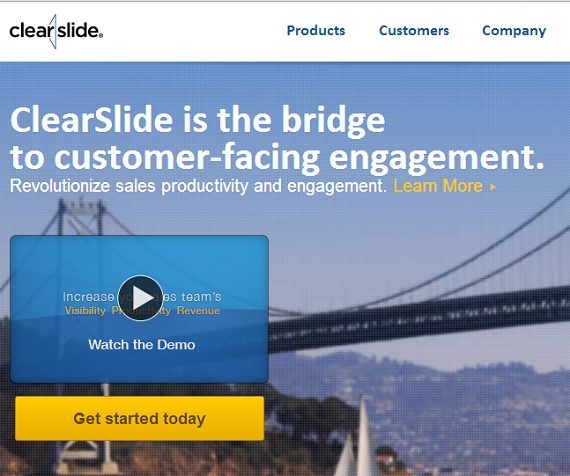 Sales engagement platform ClearSlide has gobbled up ones its competitors: presentation and analytics platform Crunched, it was announced Tuesday. Financial terms of the deal were not disclosed, but the Crunched service will be turning off at the end of September, while Crunched customers will be able to transition to ClearSlide. All the Crunched employees have joined the team at ClearSlide. So why were ClearSlide and Crunched a good fit? Because the two companies shared the same passion for the presentation space, and even overlapped in some areas, Al Lieb, CEO of ClearSlide, told VatorNews in an e-mail interview. "The team at Crunched are talented and passionate about our space, and we’re glad to have them joining the team. Otherwise, Crunched was a direct competitor to ClearSlide - some of the Crunched solution overlaps with what we are already doing," he said. "But, there were a couple distinctive points of value, including adding some new product functionality to ClearSlide. And, the team at Crunched is working on some innovative features under development. We’re excited to work with them as we extend ClearSlide’s service offering." Through this acquisition, ClearSlide will gain some enterprise and mid-market customers, while Crunched customers "will have a robust sales platform with more capabilities and outstanding customer support." San Francisco-based ClearSlide is a sales engagement platform that helps sales teams to more effectively engage with their customers. As Lieb explained it to me, "ClearSlide improves customer-facing interactions (web, email, face-to-face) by providing real-time visibility and analytics for both sellers and sales leaders. As a result, customers achieve higher seller productivity, increased sales management effectiveness, and stronger customer-facing messaging." The company separates itself from some of its biggest competitors, said Lieb, by focusing on "enabling sales teams to be more productive and sales leaders to manage their teams more effectively." "For presenting content over the web, companies like WebEx and GoToMeeting are closest to what we’re doing, but still broad and not addressing the fuller sales process," he said. "Our biggest competitor is 'inertia.' Most companies don’t have a sales engagement platform and are instead using a hodgepodge of tools which include: everything from auto dialers, phone, Webex, lead gen solutions to content management systems." ClearSlide has tripled its customer base and revenue in the past year, and while Lieb would not reveal any specific customer numbers, he would say that ClearSlide's customer base is "growing very rapidly." Ultimately the philosophy behind ClearSlide is to help connect people, he said. "We believe in providing technology that gets out of the way and enables people to have authentic conversations. Over the past decade, there have been revolutionary changes in the back office (ERP), in marketing (MAP) and in sales reporting (CRM). We will fill the gap in the most critical area of business: the real, authentic conversations between sellers and customers." 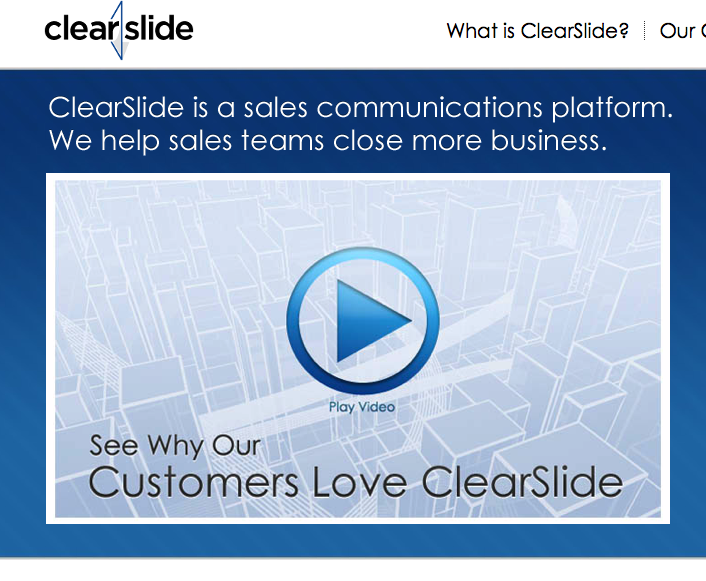 Founded in 2009, ClearSlide has raised a total of $39 million in funding from two rounds: the first an $11 million Series A funding round led by Greylock Partners in September 2011, and the second a $28 million Series B round of venture capital funding, led by Bessemer Capital Partners. Greylock Partners and Felicis Ventures.